Of course, I am joking about others being jealous of Yishun folks but I am serious about Yishun's good food. 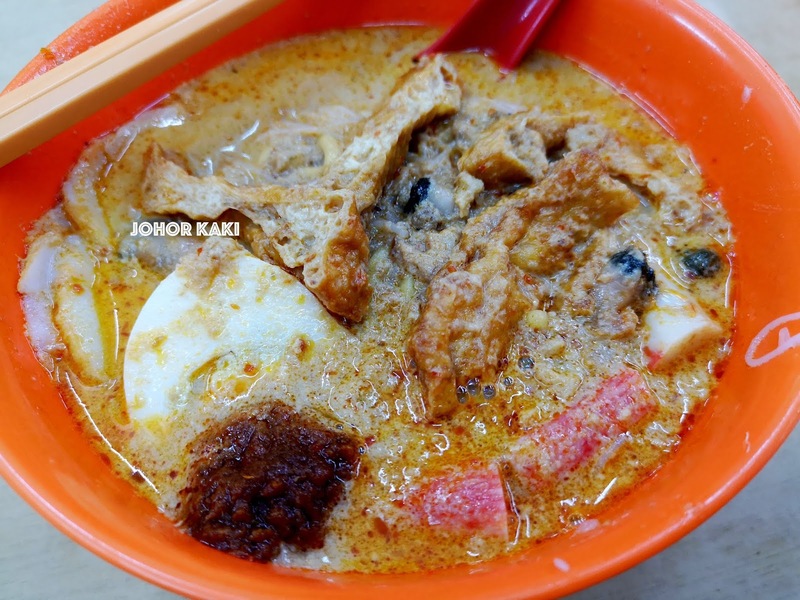 Take for example, Yishun 928 laksa - it is right up there with the best on the whole island. 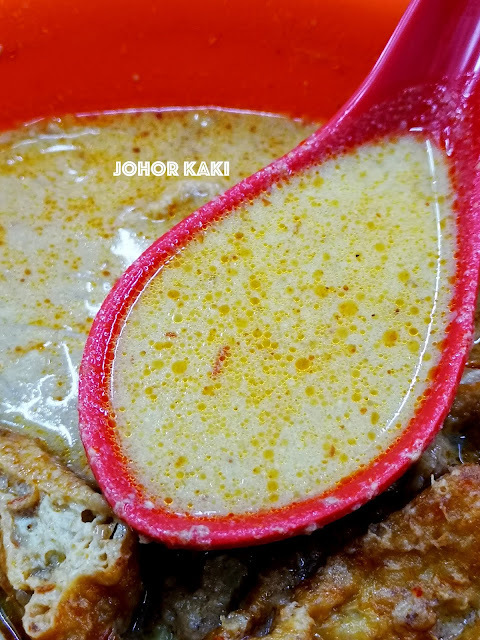 The very best, if you ask Yishun people. And, I am with them on this - I have been eating this since my pre-blogging days. No, we are not "say say only" (lip service) - these are Yishun folks queuing for their 928 laksa at 3pm on a rainy Tuesday afternoon. The 20+ year old shop has no name - the signboard just says "Laksa 叻沙 ". Everyone knows this as 928 Yishun Laksa as it is located at block 928 Yishun... duh... . The counter and walls of the tiny shop were plastered with media accolades earned over the years. Prices start at $2.80 for a small (snack size) serving, to $3.30 for large. Chatting with the boss, he said that he is keeping prices at that level because many of his customers are school students. 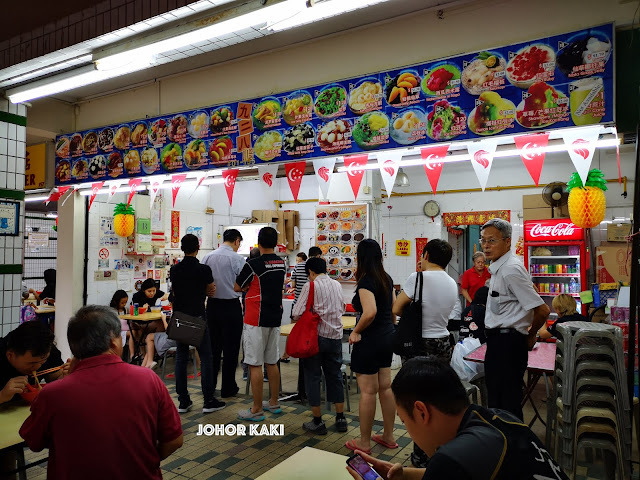 Indeed, the auntie at the counter seemed to know most customers personally. I heard a young man respectfully informing her that he has started working and where he is working as if she is family. That's kampung spirit right there in the Yishun heartland. Family is not by blood only. I ordered a large serving when my turn came after a 10 minute wait. 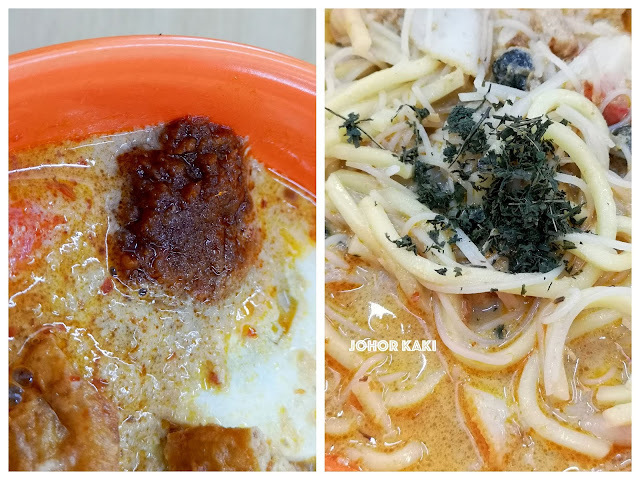 The curry is the soul of curry laksa - Yishun 928 Laksa's curry is full bodied and tastefully rich, not crazy rich. It tastes sweet spicy with a slight savoury aftertaste. The sweetness was not cloying but the spicy sting was quite robust. The mild savouriness came from hae bee (dried shrimps) which were boiled to soft pulp, surrendering all their flavour to the curry. Customers help themselves to the sambal chili and finely chopped laksa leaves for more savoury spicy kick and aromatics respectively. There's tau pok, fish cake slices, hard boiled egg, bean sprouts and even a piece of "crab" stick. The auntie asked me if I would like extra hum (blood cockles) for additional $1. I replied yes and said "please cook it well done". Auntie said OK and assured me that their curry was very hot, so the hum will be well done. Indeed, when I took a spoonful of 928 Laksa's curry, it was very hot - hotter than at any other curry laksa place. The tender blood cockles were just the size of the nail on my pinkie but they had nice briny blood taste. 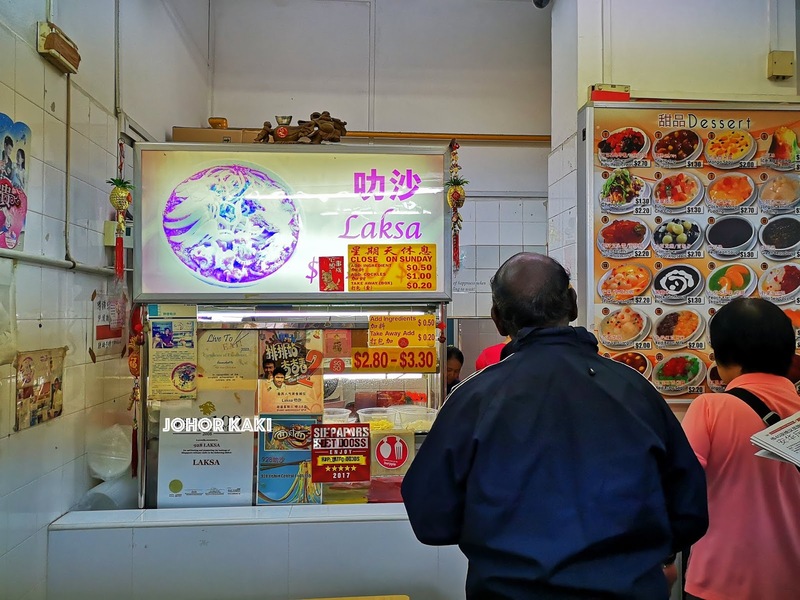 Finding our way to Yishun 928 Laksa has never been easier. 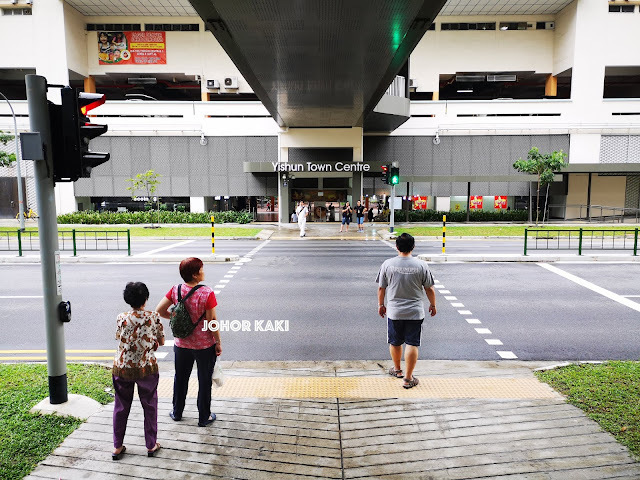 From Yishun MRT, walk to the south wing of Northpoint City. 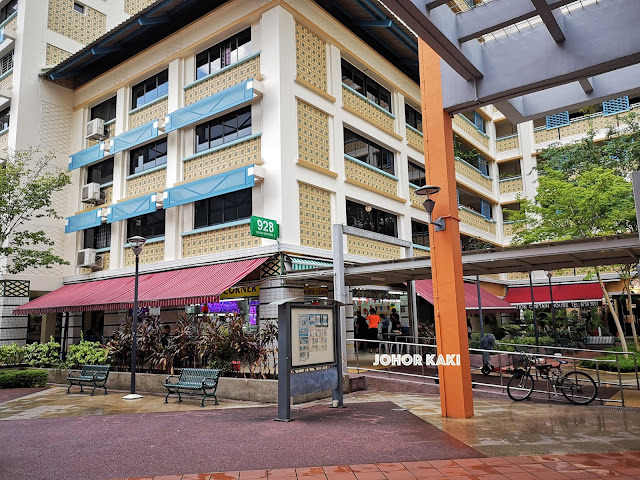 Head south (towards city), exit Northpoint City and block 928 is just across the street. 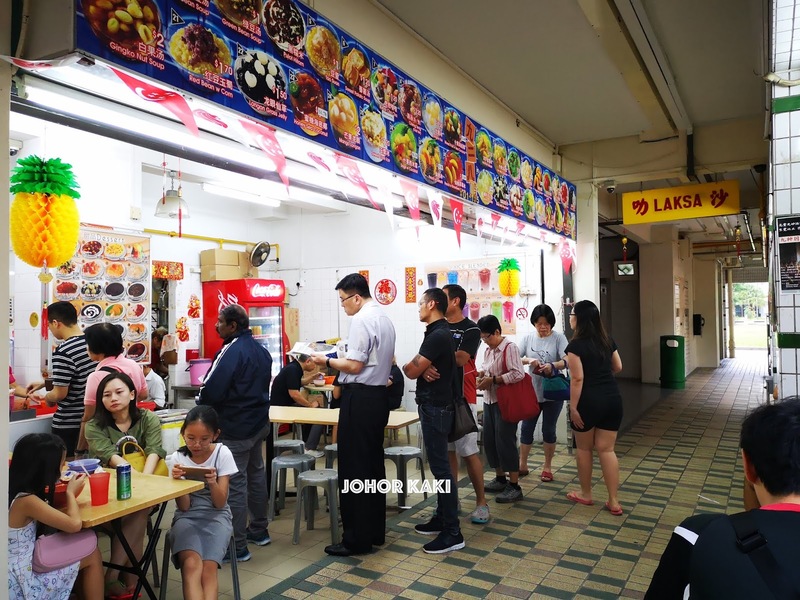 👍 928 Yishun Laksa is so accessible - easy to get to, opens from breakfast till dinner - it's hard to resist popping by for a "snack" whenever I am in the area. 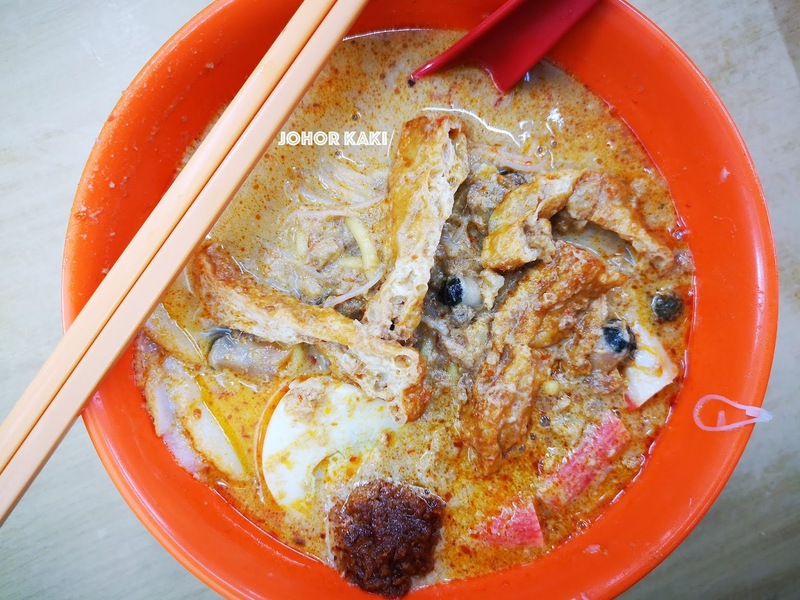 It's one of my favourite curry laksa in Singapore and Malaysia. 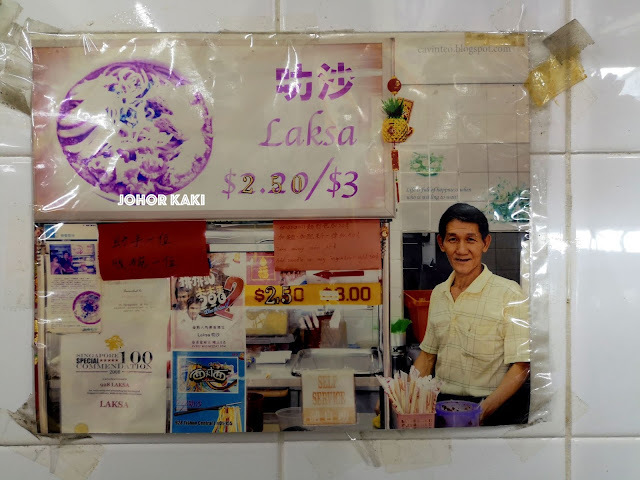 Alvin Foo Siang Hai said on Johor Kaki Facebook: "a little bit of history..
it was first located at the shop lot which is to the left of its present shop lot together with a dessert stall.. business was very good as pple ordered laksa and dessert together..
somehow for some reason, the laksa stall moved to its present shop lot.. and both refused to allow customers to buy each other stuff and sit on their tables and chairs (laksa customers can't sit on dessert tables and chairs).. both stalls tried to have their own version of either laksa or dessert (laksa stall tried to have a dessert stall and vice versa) but both also failed..
in the end, both conceded defeat and allowed each other stuff in their shop lots as long as you buy one item (buy laksa can sit at dessert shop if you buy dessert also, and vice versa)..
been having them since secondary school days together with my band of brothers.. we swore by the laksa and dessert combo.."
Thanks Hartmann, I shall check out the E.A.T. outlet at Northpoint. I had assumed that they are from central kitchen and so all taste the same. Appreciate the tip off. 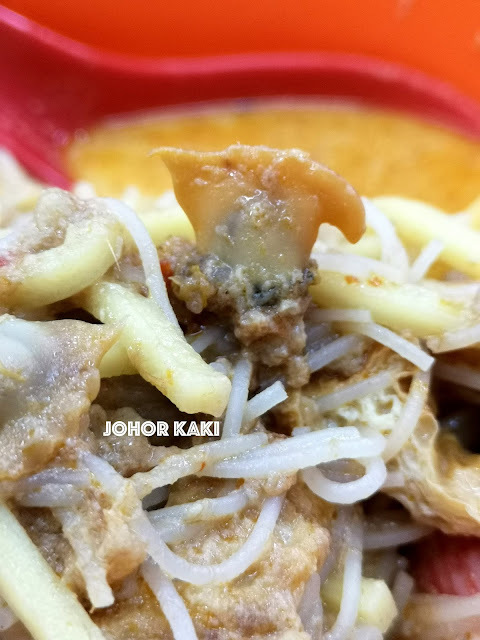 威廉 said on Johor Kaki FB: "Compared to other laksa, I always find a lot of 渣 at the bottom of the bowl which I think might be the hei bee. But they are generous with the hum. I counted 10 over hum although they are small in size. lol"